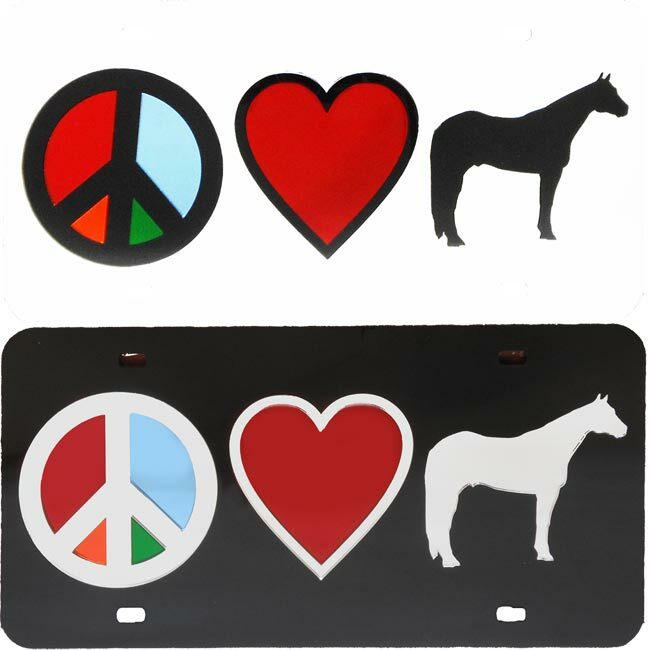 This license plate Peace-Love-Horses sends a great message. This laser cut license plate is made for trucks, cars, or even on your horse show golfcart! Plus it is made in North Carolina. PLEASE NOTE - Each plate is individual to the color combination inside of the PEACE sign and may not be as pictured. Laser-cut & hand assembled here in the USA.